The argument of it being chai, tradition and significantly Pakistani, is emotionally an appealing one. PHOTO: TUMBLR. It all started with the Nestle Nescafe advertisement. The obvious commercial interest was to drive the conversion from tea to coffee. That too, to an instant coffee mix. To me it looked more like a quick brazen attempt to drive convenience. Tea requires ritual and hard work to get the right cuppa. Instead go for an instant coffee mix, which will give you a quick strong fix. Notice no comparison of taste or tradition. This is the modern quintessential person, who has no time or interest in the softness of palette. He or she is in a hurry to fix it with a strong hit. I had written a blog on tea some five years back, on Borderline Green. It was about the relationship I have personally had with tea all my life, from drinking it, to being involved with tea and tea whitening companies. The blog also related the historical aspects of tea, its usage and production. But this is different. It’s trying to judge between the qualitative aspects of two arguments. The argument of it being chai, tradition and significantly Pakistani, is emotionally an appealing one. It drives my sense of belonging and culture. It makes me someone. So personal bias immediately tilts towards it. Also, it so happens that I have the inside track, on the history of our tea tradition. Remember, I actually worked in Unilever and Lipton (and later Brooke Bond) who owned the tea market for half a century in Pakistan. 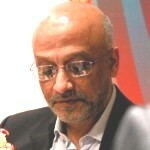 During my years with Unilever, I had personal contact with the Chairman Habib-ur-Rahman (late). Habib sahib was very different. He would reach down 15 job classes to a junior employee and inspire him. So I can remember a session, when he described how both tea companies in the late 1940s and 1950s actually used ground activation to spread tea. A whole set of donkey carts would go off into the rural areas. They would carry tea leaves and a movie projector with generator power. Village to village they would assemble people and show them movies. As part of this entertainment they would sample tea. The tea would boil endlessly and become strong, thick, sweet and end up being described as karak. Apparently this activation went on for a few years and out of it was born our tradition in Pakistan of karak chai. Karak was the very characteristic which Tarang (Engro Foods) tried to replicate a decade ago. The other ‘import of Gora culture’ argument is perhaps not quite true. Tea (not chai) came via the Opium wars, the preferred weapon the British used to beat China on its head. Tea plants were smuggled out of China to India to start tea plantations. As it so happened, it was indigenous Indian tea plants which eventually worked and this skulduggery came to nothing. But, neither tea nor coffee are products of temperate climates anyway. They do not grow in Western countries, but are imported from Africa, South America, and Asia. They were drunk a millennium before any Portuguese sailor ever saw them. It was an acquired taste for Europe and later North America. So I am not sure how it can be claimed as Gora culture. For me, the argument spins on the usage of milk in chai. It is so, so different from anywhere else in the world. In India, it is masala chai. In Britain, it is a weak milky tea, and in the US and other countries, it is no milk. 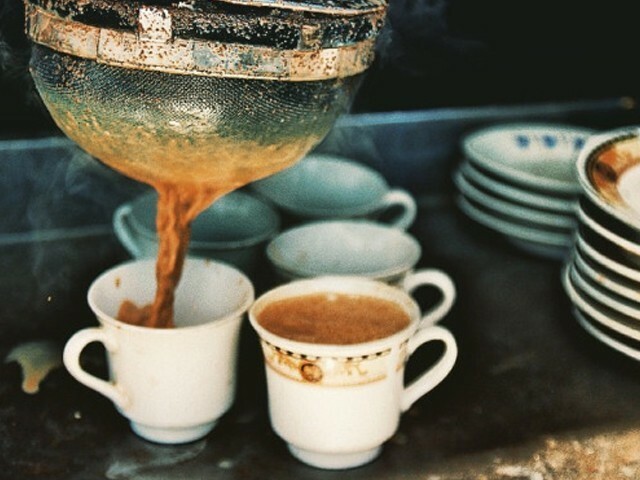 In Pakistan, it is Habib sahib’s ‘karak chai’. For us, the thickened, sometimes sweetened concoction is our creation and over 70 years, it has become our tradition. So to all the wannabes out there – chai please, it is not coffee! Being a tea drinker myself ………I really enjoyed reading that.